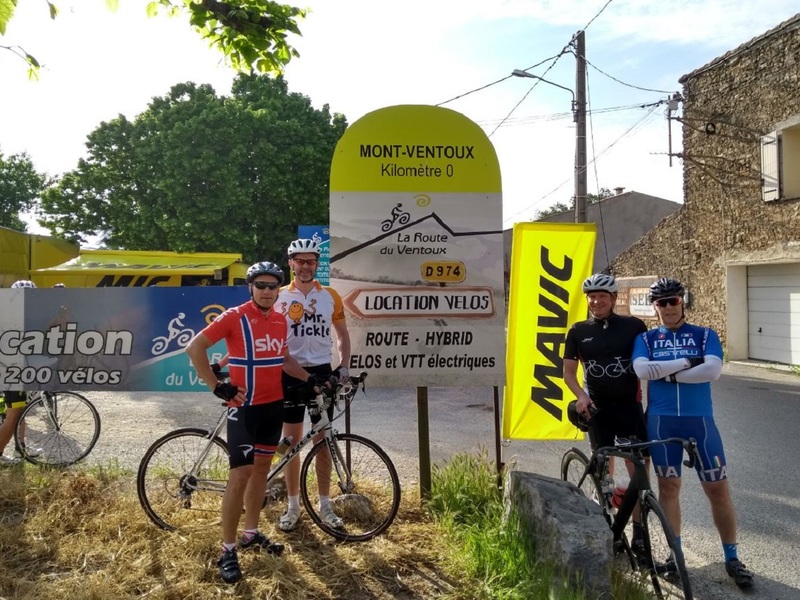 Rolling hills, quiet roads, beautiful scenery and the fabled sunshine of the South… these are the ingredients that make Provence and the Mont Ventoux region such a superb destination, and one of our favourite cycling holiday locations. 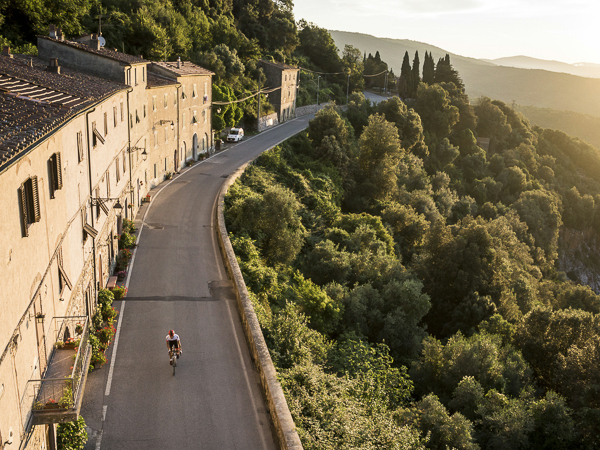 Imagine a long weekend spent riding amongst vineyards and olive groves, passing through historic villages perched on hill tops and taking in scenic gorges, rolling hills and great climbs too. 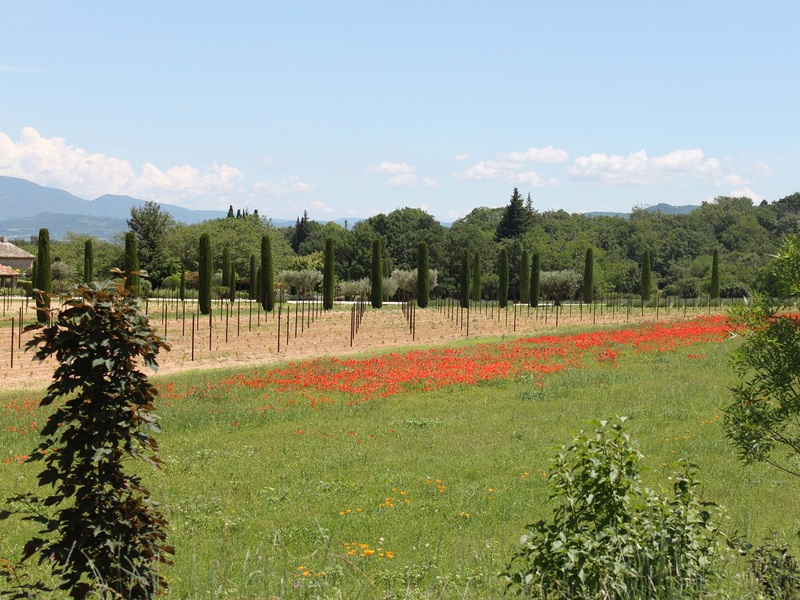 The region of Provence and the Ventoux really does have something for everyone. 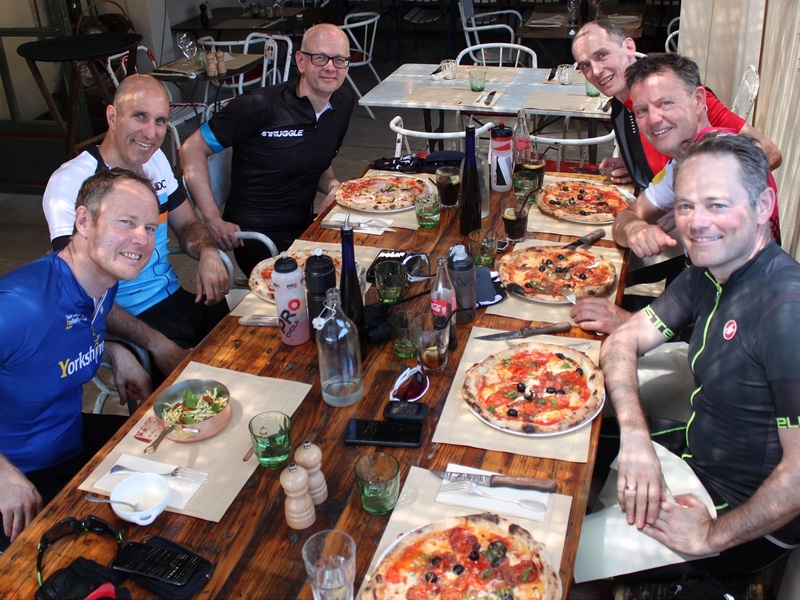 Our short breaks are designed to be the most convenient and hassle-free road cycling holidays – we will ensure that with 2 days off work, you enjoy 4 days of relaxing and fun cycling. We look after everything – so you just need to turn up to Marseille airport on Thursday evening and be ready to ride! 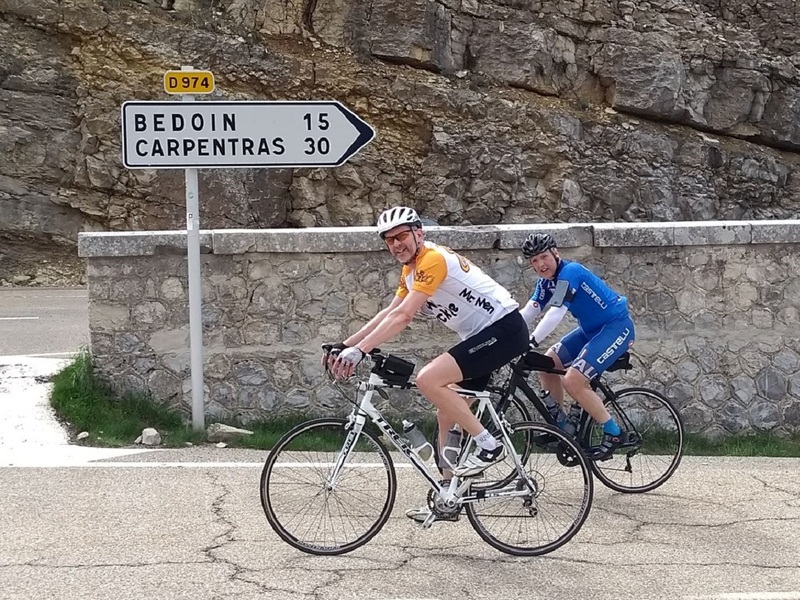 Although the riding in Provence is not as challenging as that in the Alps, our rides and routes include some good climbing and varied terrain to suit all levels. 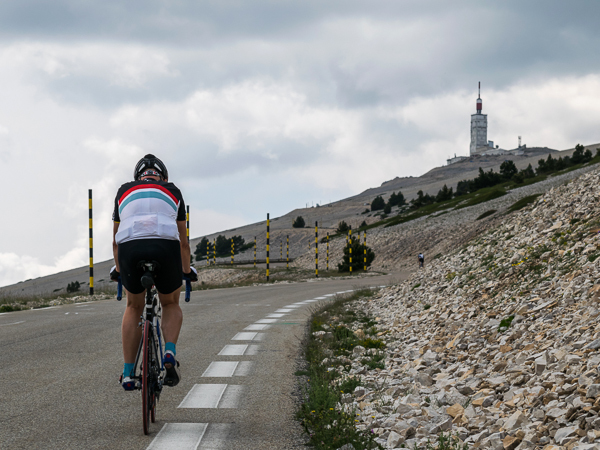 And of course don’t forget the mighty Mont Ventoux, one of the most famous cycling ascents in the world… enough to provide a stiff challenge for even the most experienced riders! We are spoilt for choice in this region as there are so many great cycling routes and so much beautiful Provençal countryside to explore. Throughout our many trips to this region we have tested, refined and selected our selection of riding routes to make sure that you experience the best Provence has to offer. 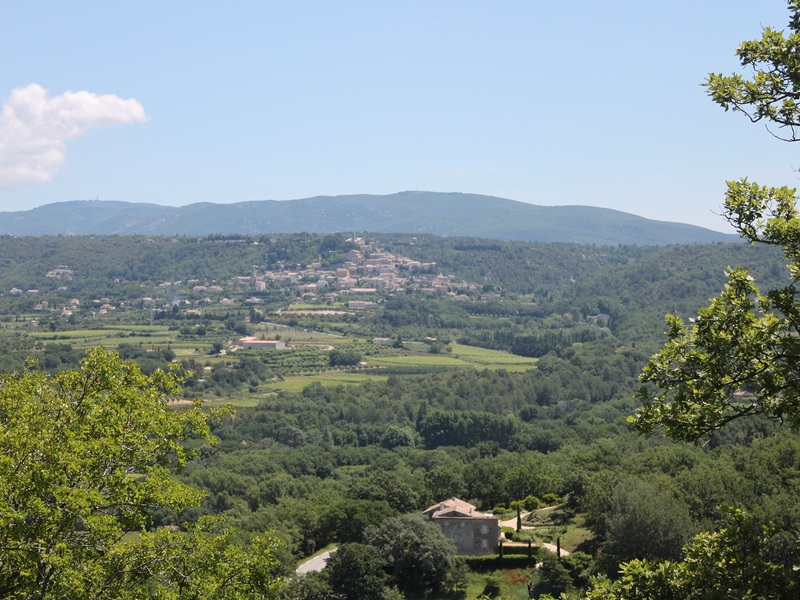 We’ll spend a day exploring the rolling Luberon (made famous by Peter Mayle’s ‘A Year in Provence’) as well as riding through the wine region of the Dentilles de Montmirail (inc. Gigondas), and of course we’ll include an ascent of the ‘Giant of Provence’ – Mont Ventoux – which tops out at over 1900m. Rides are typically between 50km – 110km and usually feature between 1000 and 2000 metres of climbing. Our ‘Classic’ package format includes a set ride each day – chosen for the best roads and scenery around. Our minibus and Bike Weekender team will be supporting you all the way and will mark the route ahead of you, as well as carrying spare clothes, extra water, drinks, snacks and spare bike gear. 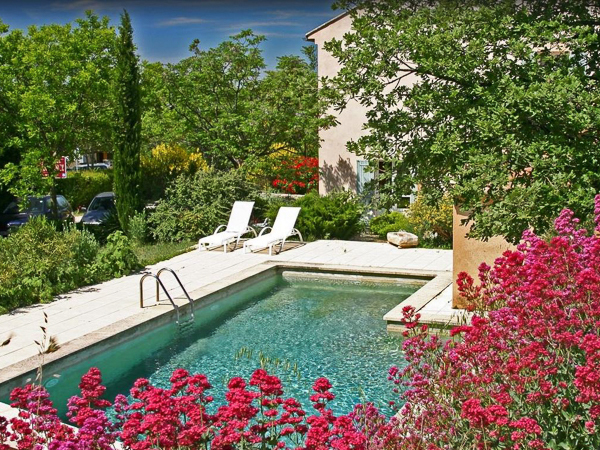 The village of Bédoin is our base in Provence and our friendly hotel here is perfect for a relaxing stay. Enjoy the views of Mont Ventoux from the sheltered swimming pool, or take a post-ride stroll through vineyards and olive groves. 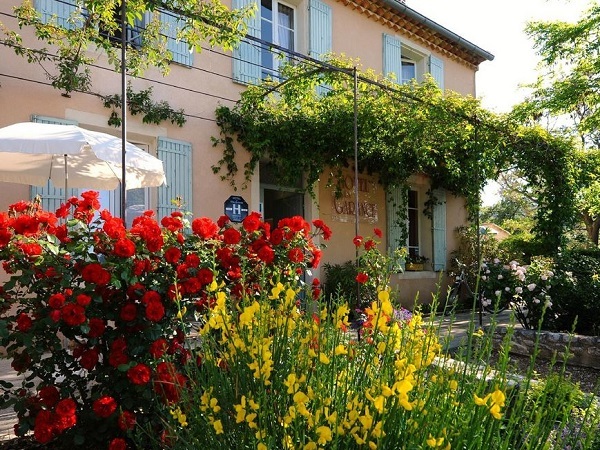 Dinner is taken at nearby restaurants and features dishes using the fantastic local produce that Provence is famous for – so a treat for your taste buds too. 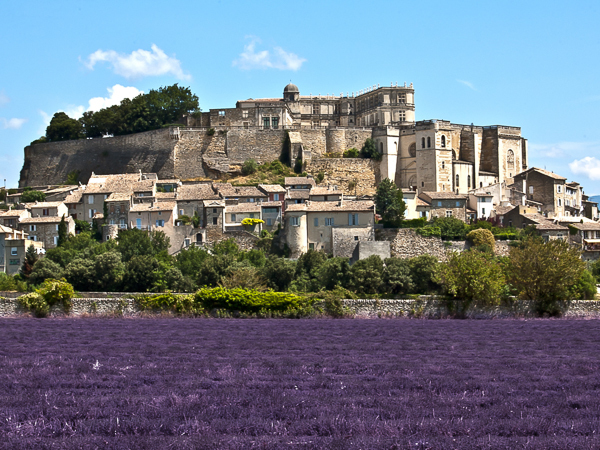 Relax and Ride through Provence – we have it all taken care of. Our Classic Provence and Ventoux breaks may be short, but they feel like a real holiday… you’ll be amazed at how much riding we fit into your 4 day weekend. With a relaxed base, great cycling and stunning weather, a ‘Classic’ break in Provence is active relaxation at its very best! The terrain is undulating; rolling climbs and twisty descents are the order of the day. Each ride has a different view and feel, but on all of them we find you the quietest country lanes to explore. 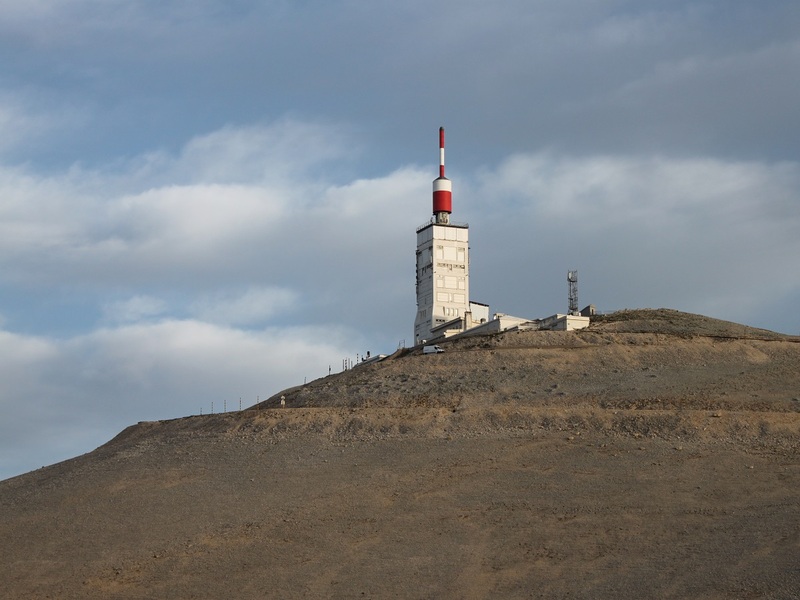 From our base at the foot of Mont Ventoux we’re right in the middle of cycling country… and you too will have a chance to join the hundreds of people taking on the climb to this historic summit each day. Our short breaks mix riding challenge with enjoyment and relaxation – you can take time on the rides to soak up the sunshine and enjoy your beautiful surroundings. 4-day ‘Classic’ weekend break – these weekends are designed to give you a varied selection of the best riding to be found in the region. We set a fixed itinerary for rides, but for each day there is lots of flexibility to ride longer or shorter route versions. These trips run on a fixed date, are open to individuals, couples or groups of any size and are subject to a minimum of 4 people booking onto this trip for it to go ahead. After each ride, there’ll be time back at base to relax and unwind by the pool, before a 3-course evening meal taken at local restaurants. Our airport pick-up is at 17:00 – transfer to your base in Bédoin is 1.5 hours. 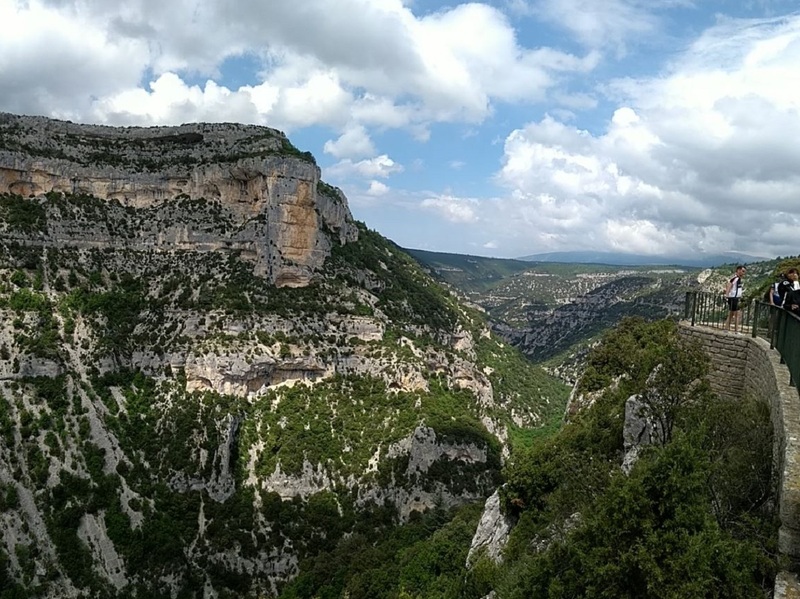 A gentle climb around the base of Mont Ventoux takes us to Sault where we pause for coffee before descending the amazing Gorges de Nesque. A stunning ride in spectacular scenery, we have one more climb to Blauvac before we ride back to Bédoin. 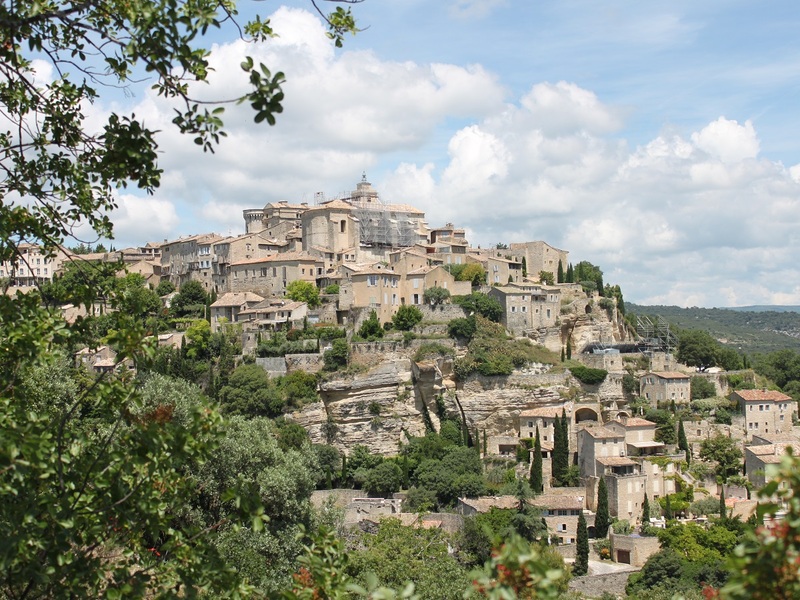 One of the most picturesque rides we know – taking in the hilltop villages of Gordes, Rousillon, Ménerbes and Lacoste as well as the Col de Murs and the gorges of the Mountains of the Vaucluse. We drive to the start, but those feeling fit can ride on all the way back to base. Follow the classic Tour de France route – ride from the hotel through the trees to Chalet Reynard before embarking on the open and exposed climb to the summit. Descend to Maulecène for a well earned lunch, before a lovely (easy!) ride back to Bédoin. Taking in the villages of Crillon-le-Brave and Beaumes le Venise we soon find ourselves in the heart of wine country and riding through Vacqueras and Gigondas. 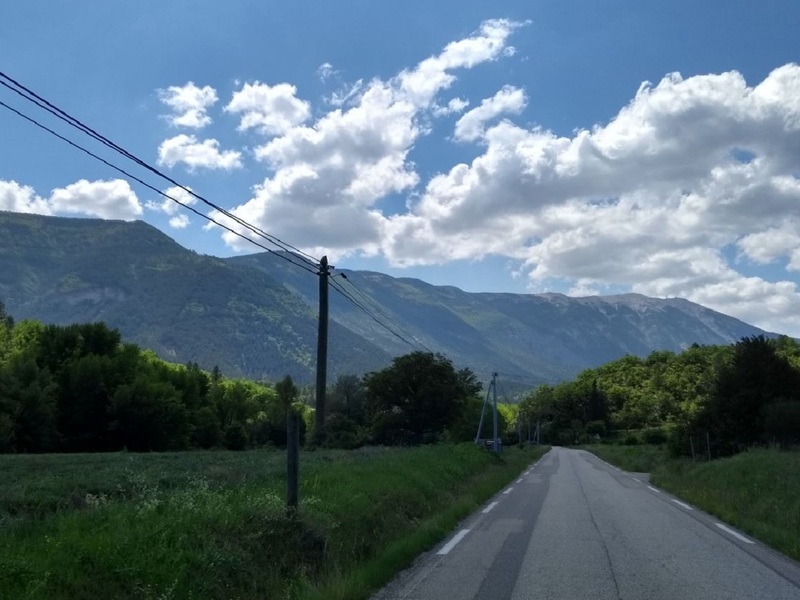 We climb up to Suzette for lovely views out in all directions, before we drop back to Maulecène and our lovely ride back up and over the Col de la Madelaine to Bédoin. Please Note The itinerary outlined is provisional, although it’s a very typical outline of the routes you can ride on a ‘Classic’ break. On rare occasions, we may have to modify this programme due to weather conditions, group ability, roadworks etc. La Garance is a peaceful retreat hidden beneath Month Ventoux, in stunning surroundings, including open views across to the iconic mountain itself. You will receive a warm and friendly welcome, with a high level of personal service offered by Joanna and her team. The hotel is very much geared up for cyclists, who pass by throughout the day on their way up and down Ventoux, helping to build your own excitement and anticipation for what’s to come. It really is an idyllic setting, and you’ll get plenty of opportunity to take a dip in the pool or relax on the shady terrace, taking in the sounds, sights and smells of the South. Hôtel La Garance has 16 tastefully furnished rooms; these are mainly twin / doubles, with a small number of larger rooms catering for up to 6 people available. All Bike Weekender breaks include half board – a hearty breakfast and 3-course evening meal every night. Breakfast is a continental buffet with hot option, served from 0730 each morning to set you up for the day’s riding. Hôtel La Garance doesn’t have its own restaurant, so dinner is taken at 2 local restaurants within 50m of the hotel. 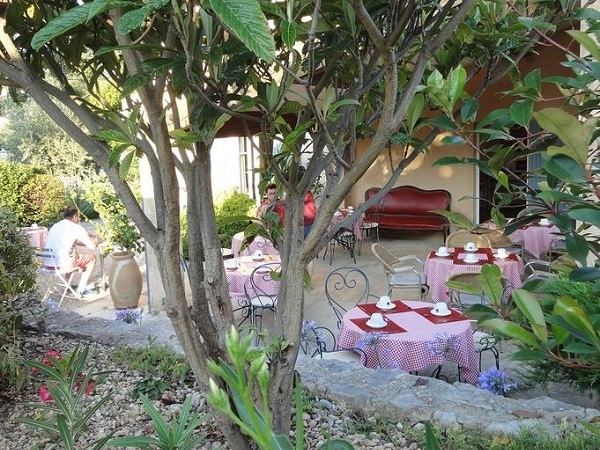 Both of these feature lovely outdoor terraces and superb food. Expect lots of great local produce and fresh fruit and vegetables from the market – plus of course the local Côtes du Ventoux rosé wine to wash things down. A set dinner menu at each of these restaurants is included in your package. Ordering à la carte is possible, with additional costs payable directly to the restaurants. 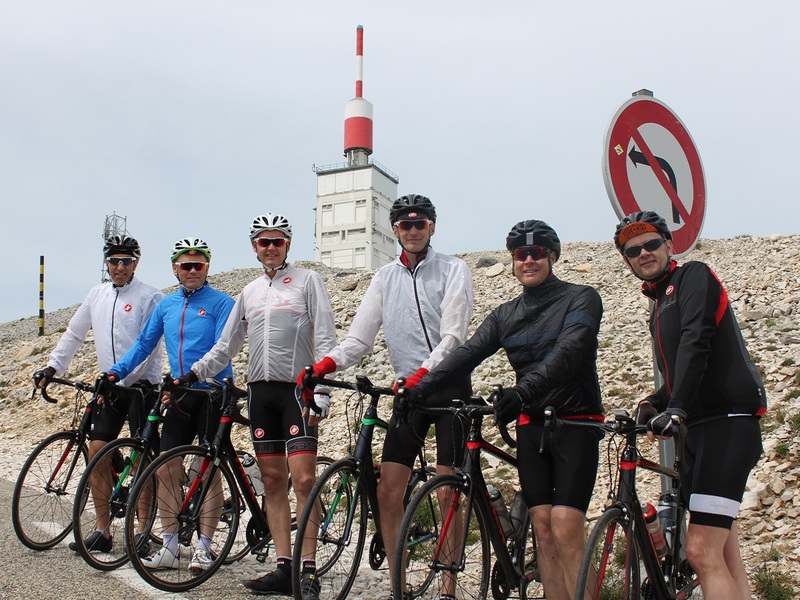 Interested in a Road Cycling Break in Provence / Ventoux? If you’d like to join one of the ‘Classic’ breaks above, just send through our booking form here >>> we’ll be in touch by email shortly to confirm your expression of interest in this trip. Looking to book a 'Classic' Provence / Ventoux break?